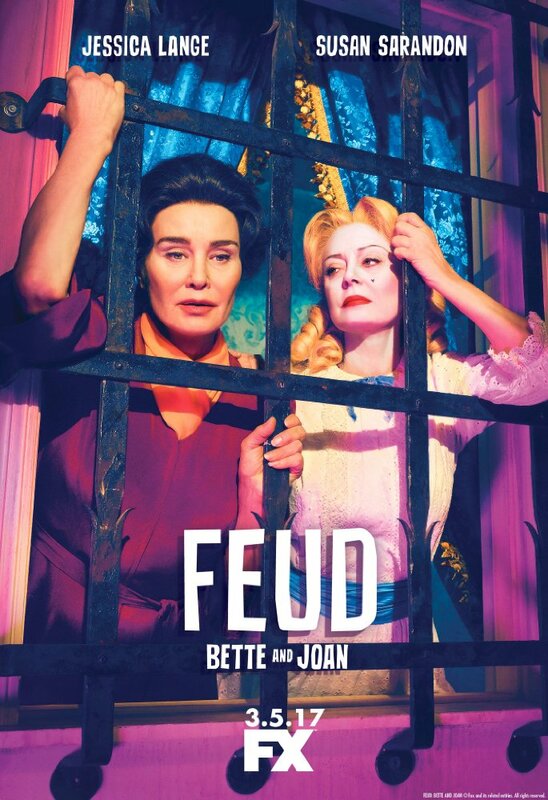 Before I begin recapping Feud: The Other Woman, I should say someone has to consider giving Susan Sarandon and Jessica Lange all possible awards for their fantastic performance. I think, based on what we’ve seen so far, we have reached to the point when we can tell we have an excellent cast to remake ‘Whatever Happened to Baby Jane?’ And for that, we should be thankful to Ryan Murphy for the outstanding casting of Feud. James Warner creates a true War World II atmosphere as he feels that both Bette and Joan, by hating each other, are on their way to deliver the best performance ever. Having his own ambitions, he announces to Robert Aldrich that the movie will be opened in four hundred theaters. Bette and Joan continue exchanging glamorous sharp and biting opinions about each other. But if that was not enough to heat up the attitude they had towards each other, the publicity, supervised by Aldrich creates a rumor about Bette and Joan, turning their already shaken relationship into epic burning lava. Their rivalry does not stop on the screen, but goes off the screen as well, where the two women exchange lines about Pepsi Cola and Vodka to determine which one is purer. Obviously, none of them missed an opportunity to offend or insult each other… But that’s what we like about them most, isn’t it? But what is pure here is exquisite writing, where the character development is a work of art. It gives so much room to Susan Sarandon and Jessica Lange that they continue dancing throughout the screenplay by creating their own iconic persona, which I am telling you, is so memorable that I simply can’t stop being amazed by it. Robert Aldrich is also caught between two women, who try to earn his affection in every way possible… and if that way is to bring him to bed, that also won’t be an issue for them… it’s just a matter of who will do it first… Overall, the Feud: The Other Woman gives a great continuation of the storyline, where you will find yourself more into the epic rivalry between Joan and Bette. It’s getting so better that you wish it would never come to an end….